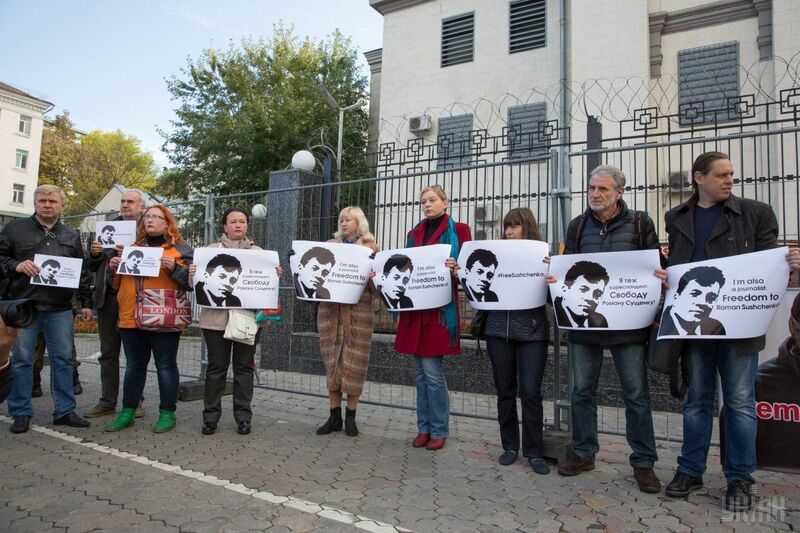 A rally in support of Ukrainian journalist Roman Sushchenko, who has been arrested in Moscow on charges of "espionage," was staged outside the building of the Russian Embassy in Kyiv on Thursday, October 6, according to a UNIAN correspondent. 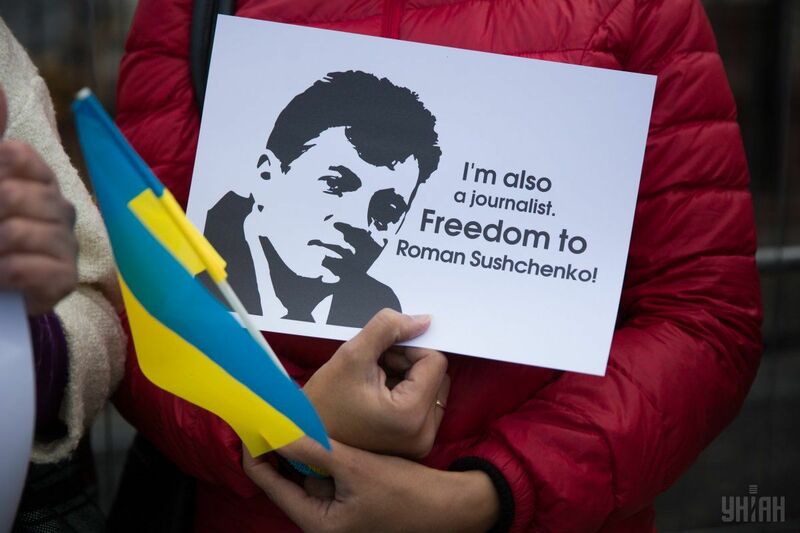 The event was attended by journalists, bloggers, and media experts. 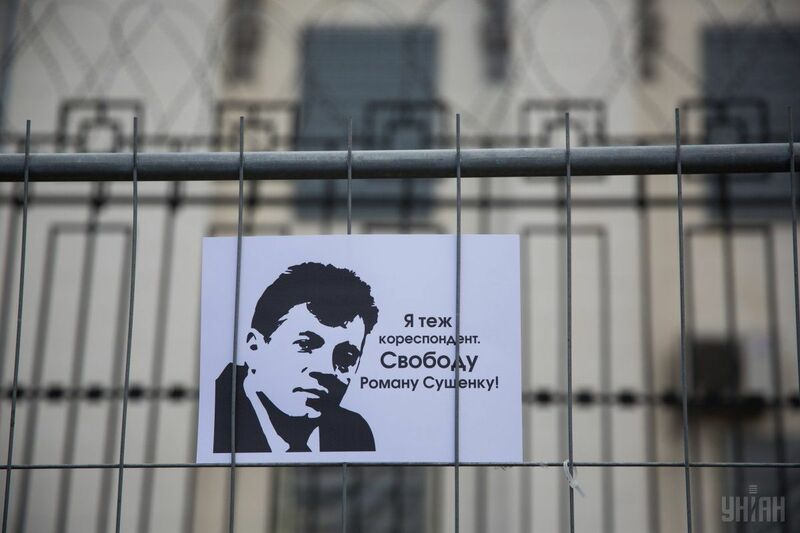 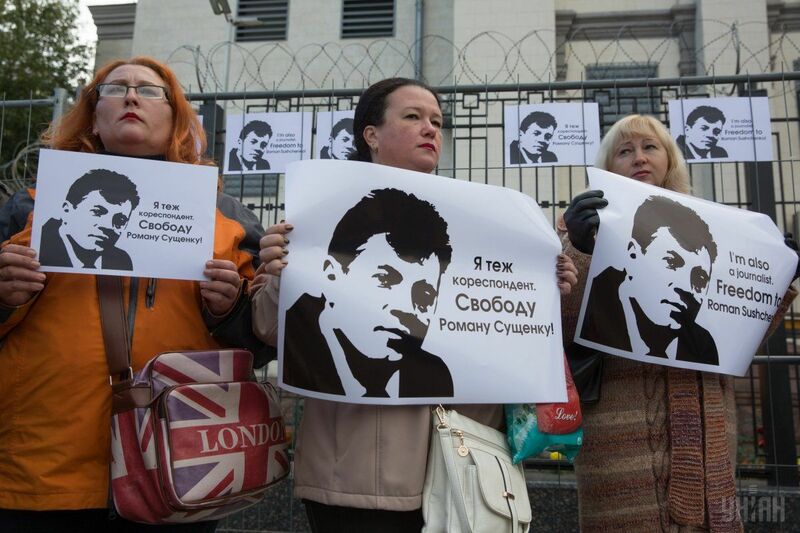 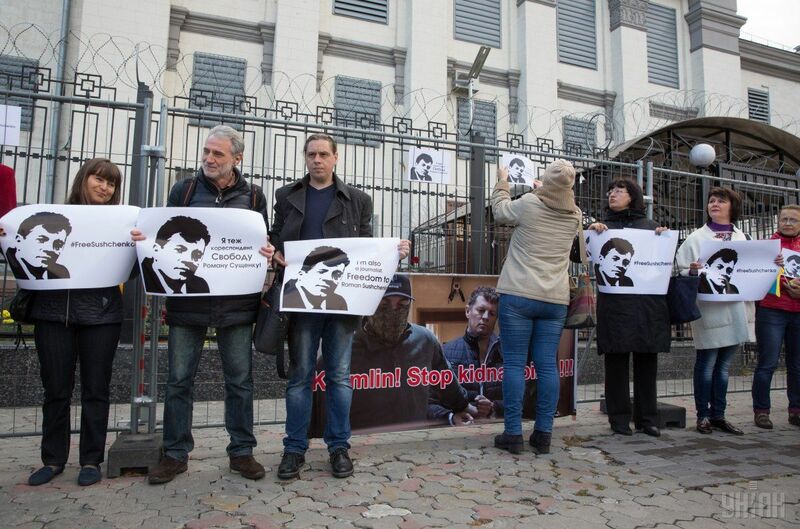 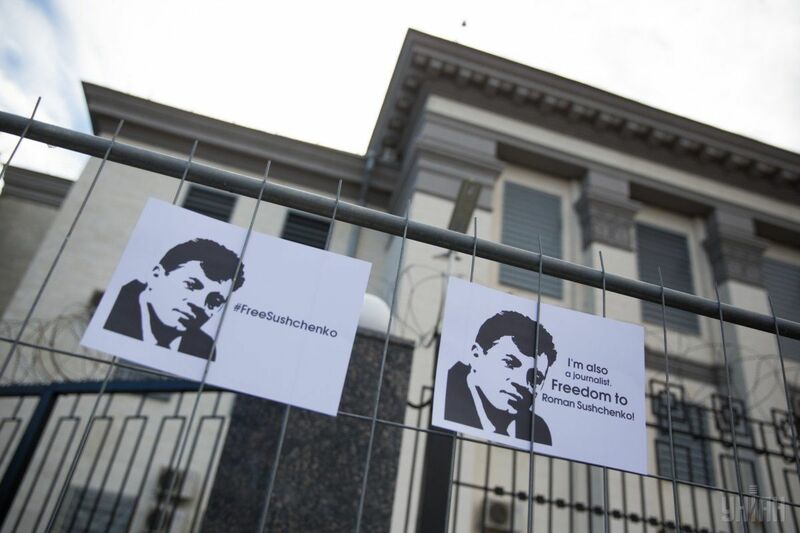 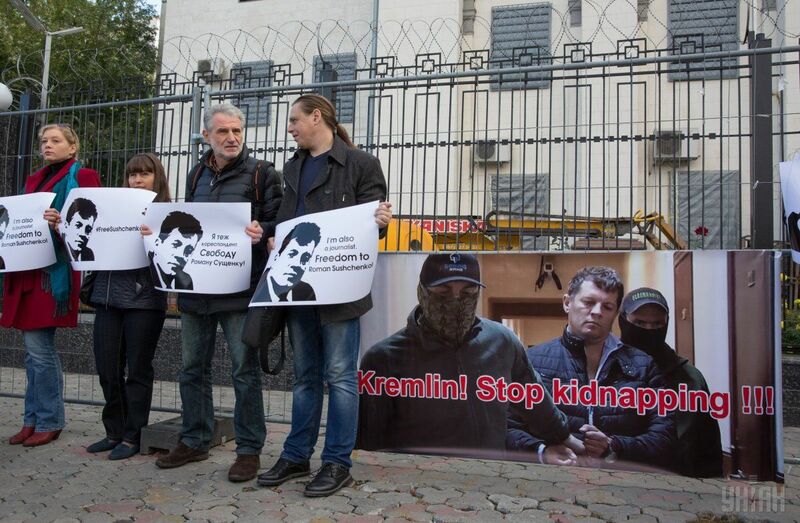 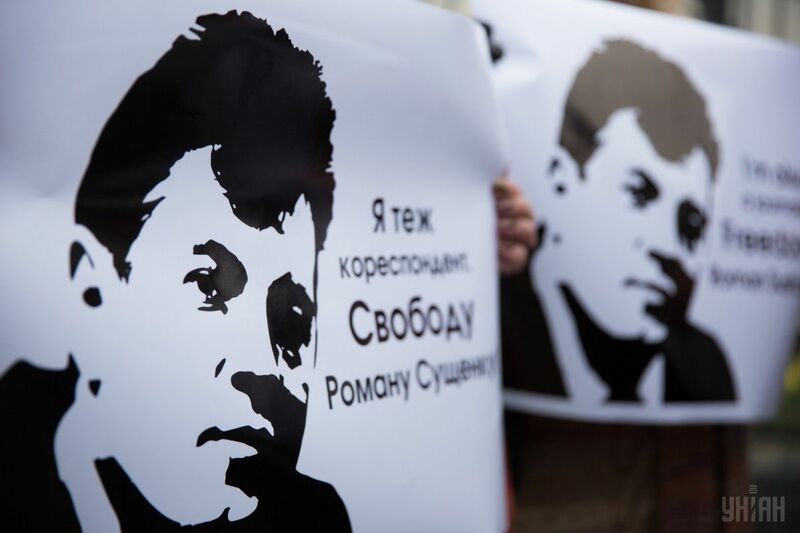 People came to the embassy's building with banners: "Freedom to Sushchenko," "Kremlin! 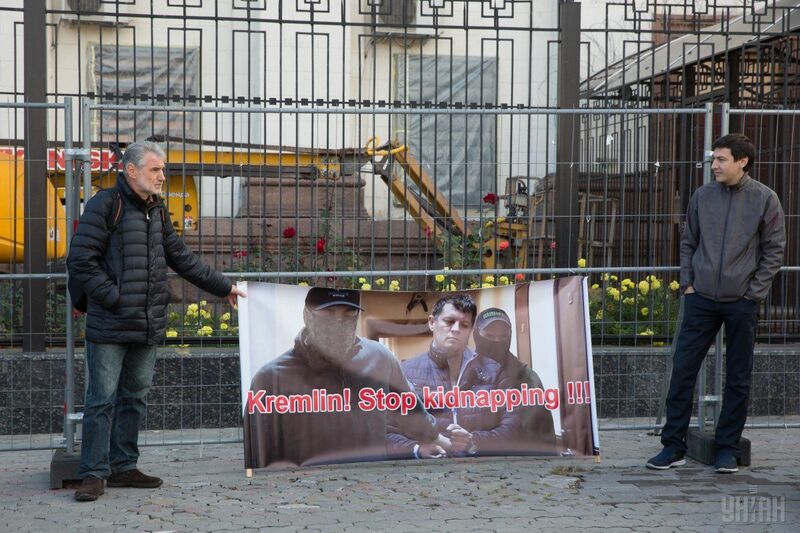 Stop kidnapping!" 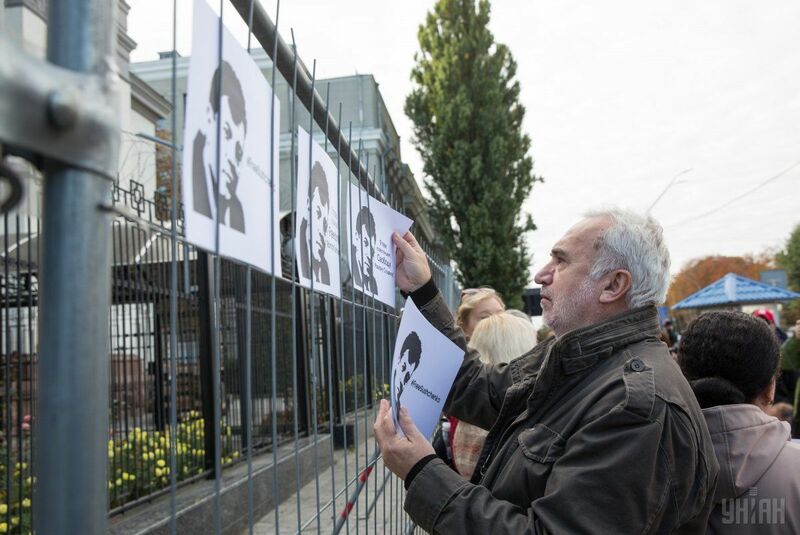 According to the organizers of the rally, similar events were planned in Paris and Rome on the same day. 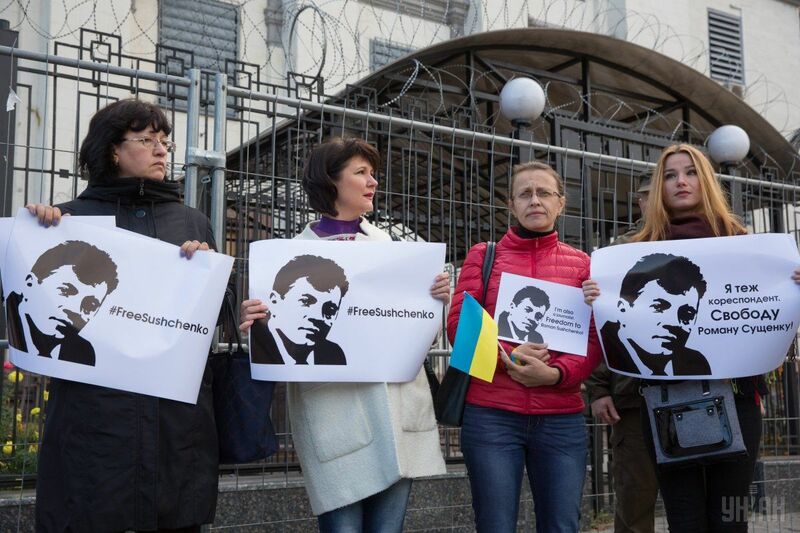 As UNIAN reported earlier, members of NGO Public Monitoring Commission of Moscow found Ukrinform journalist Roman Sushchenko being remanded in custody at the Lefortovo pre-trial detention facility. 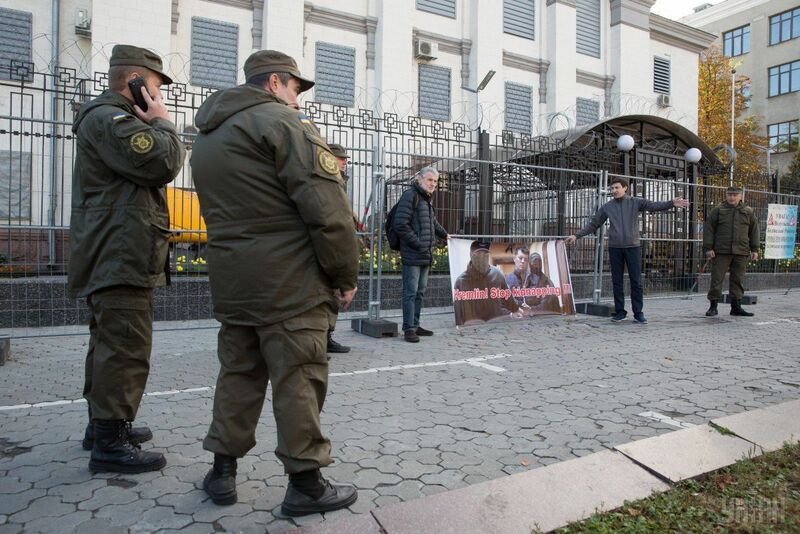 The Lefortovo court ruled to detain him on accusations of espionage (Article 276 of the Criminal Code of the Russian Federation) for two months. 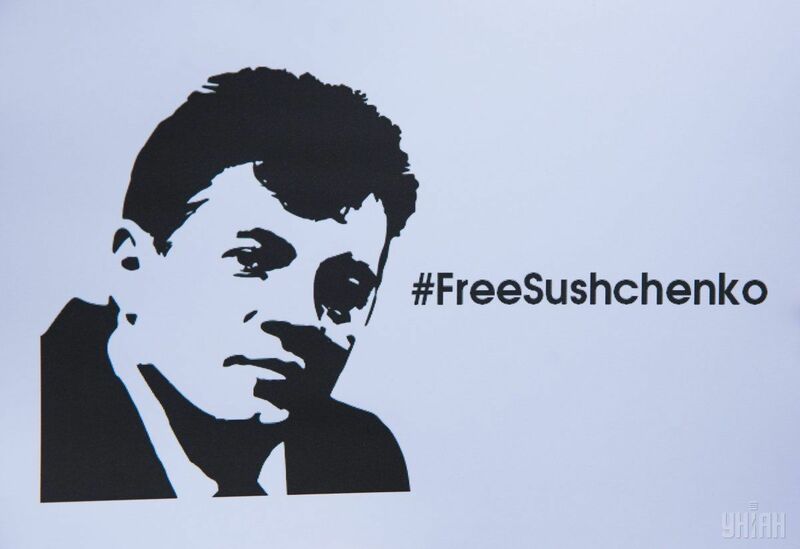 On Monday, October 3, Russia's Federal Security Service (FSB) accused Sushchenko of being a Ukrainian intelligence officer.